Sweet Cheeks Adventures: Hammacher Schlemmer : Chilled Wine for All Occasions! Hammacher Schlemmer : Chilled Wine for All Occasions! Late a night when you've had a rough day and you're just trying to unwind, you don't want to find out that your favorite wine hasn't been chilled. You have a family of what feels like 50 and there is never any room in the refrigerator for your wine... What do you do? You get an Ultra Slim Wine Refrigerator! That's what you do! The Ultra Slim Wine Refrigerator is perfect for a home that only has a little bit of space. As it stands on the floor, it can slide right in between the wall and the couch. It has a home in the kitchen between the table and freezer. Whatever your home makeup may be, there is a place. You'll find space for 18 bottles here but the ability to move the shelves around to accommodate bigger bottles is there. 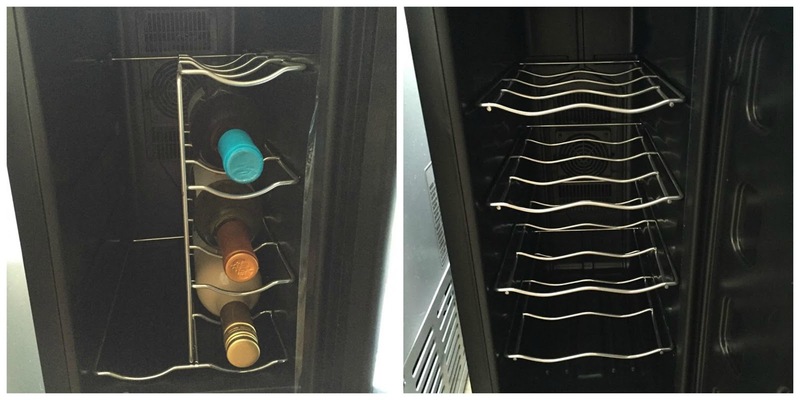 If you are a fan of a few different types of wine, this refrigerator is made to have 2 temperature settings. The top can be 54 while you have the bottom at 65! Very handy, I tell you! The front is a very reflective smoked-glass Thermopane door that is trimmed in stainless steel. While most people don't need to have 18 bottles of wine on hand at all times, this can also be a great place to chill your hard liquors. If the bottle fits, slide it in there nicely! If this wine refrigerator isn't something you're looking for, Hammacher Schlemmer has just about any need you might have covered. You can get exercise equipment, clocks, shoes, toys and quite a few other things. Take a look at their website for your holiday needs. Don't stop with the holiday though. Great gifts for birthdays or the occasional Happy Tuesday! I need one of these in my life! We go through a lot of wine in our house, so this would be PERFECT. We are not wine drinkers but that would be great for those who are. I love Hammacher Schlemmer and used to always go into the store when we lived in New York. So many great items! I had a wine cooler in my basement. Then it just quit working. I need to get my Hubs another one. He loved that thing. It would be so nice to have one of these for the kitchen. It looks nice and it doesn't take up too much space. I have never seen a wine chiller this size before. I like that it is slim and can fit in smaller areas. Chilled wine is my favorite! This is definitely a necessity in my house! This is a really nice wine refrigerator! I really do like the slim, compact design! This is such a beautiful wine chiller. I love how it fits into the decor of any home. 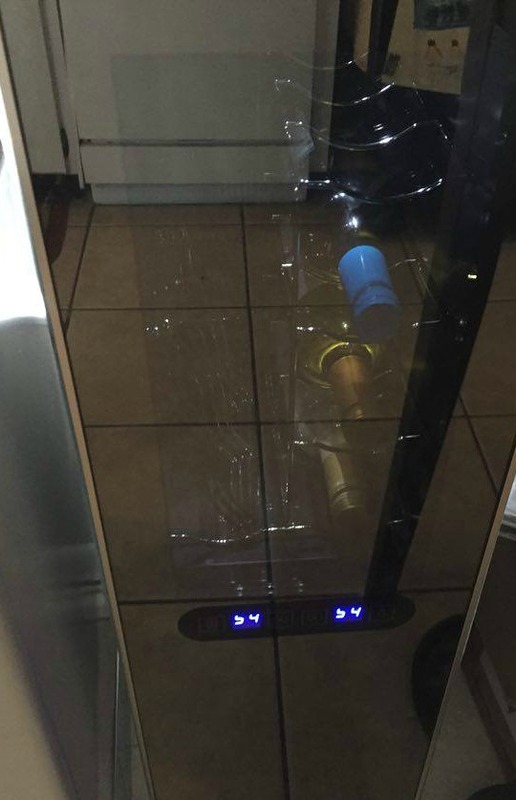 Woah that is a fancy wine refrigerator! We are not big on drinking here but I think this would be really good to have for when we have people over! So sleek looking too! Love it! 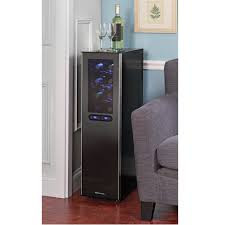 This looks like a wonderful wine chiller which will be so much useful for wine lovers as it looks compact & user friendly. As we don't drink wine, I would suggest this to my friends. This is perfect for our apartment. We don't have a lot of room so it would fit perfectly between the sofa and the wall. Great reason to buy more wine too!